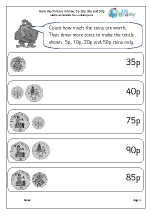 Counting totals using mixed sets of coins. 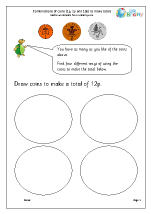 Making different amounts from a number of mixed coins. 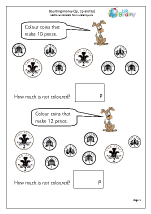 Colourful shopping activities and finding the correct amount of change. 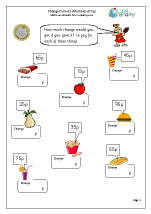 What to buy with 10p. 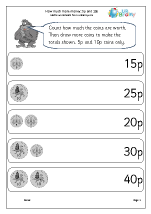 Counting money using notes, leading on to finding amounts using notes and coins. 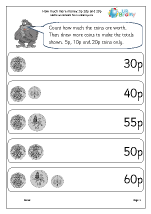 In Year 2 counting money in practical situations is still a very worthwhile activity, as well as giving change from a pound and deciding what can be bought with a certain amount of money. 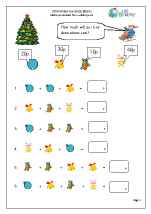 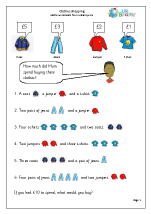 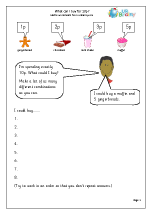 Use our fun worksheets as a backup for all these practical activities. 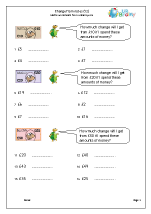 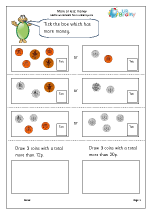 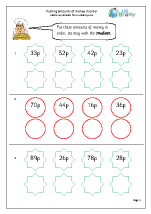 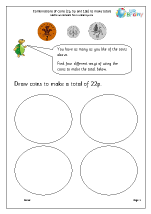 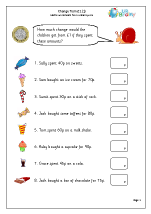 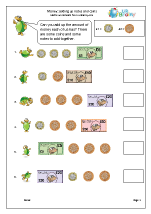 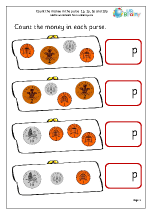 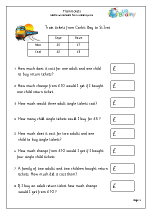 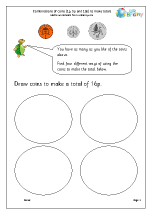 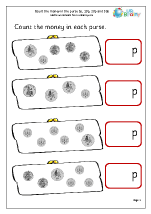 We have had several requests for more worksheets on money, in particular using notes. 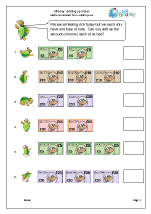 So we have just produced colourful sets of adding notes valued at £5, £10, £20 and £50, as well as adding a mixture of notes and £1 and £2 coins. 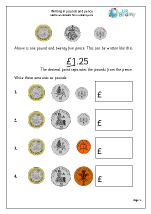 These can be found in our Year 2 Money category. 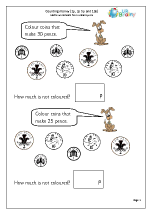 They are also very good practice at counting in fives, tens, twenties and fifties.